The Orwell Youth Prize’s Regional Workshops are for anyone in Year 12 or Year 13. The first 20 people to get in touch will get a place at the workshop. You don’t need to have had a workshop through your school to be eligible. If you would like to come, email us at admin@orwellyouthprize.co.uk. 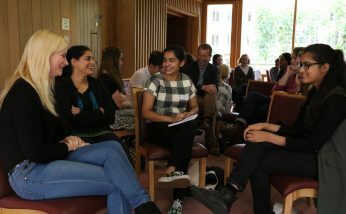 The workshops will bring together 40 young people interested in writing and current affairs to hear from professional renowned writers about writing techniques. You’ll get one-to-one feedback on your work, too. The day is free and bursaries towards the cost of travel to the workshop will be available.